Having acquired the production and support rights to Canadair’s CL series of water bombers, Viking Air is systematically upgrading piston versions to turbine power, with other improvements. 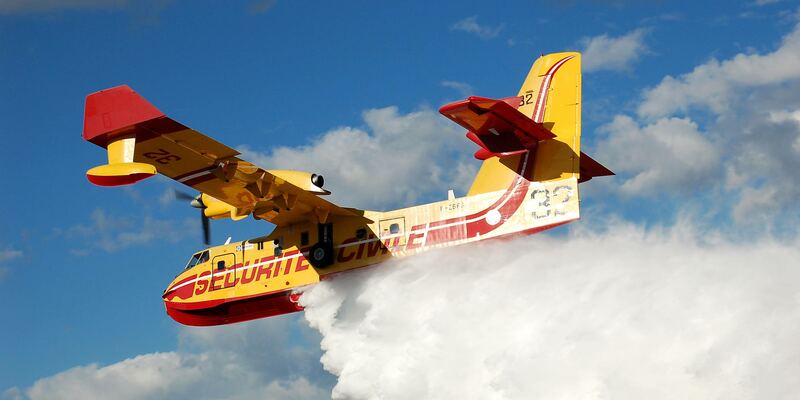 Canada-based Viking Air Ltd., a subsidiary of Longview Aviation Capital (Booth 3881) is ramping up, readying for renewed demand for its Canadair Aerial Firefighter fleet (CL-215, CL-215T, and CL-415). In 2016, Viking acquired the certificates for all variants of the Canadair CL-215, 215T, and 415 aerial firefighters from Bombardier. In addition to assuming full responsibility for in-service support of the 165 amphibious aircraft in 11 countries, Viking also became the original equipment manufacturer (OEM), with all future design rights. The company also makes the Series 400 Twin Otter and holds﻿ the original type certificates for all out-of-production de Havilland aircraft (DHC-1 through DHC-7), providing spare parts manufacturing and product support for these global fleets. “Wildfires are increasing around the world, and there is a place for water-based scoopers in the firefighting toolbox,” said Robert Mauracher, executive vice president of sales and marketing for Viking and COO of Longview Aviation Asset Management (LAAM). In the U.S., aging tanker-style aircraft have been retired and are being replaced by a mix of helicopters and other turbine tankers, as well as the CL-415 turbine water scoopers, Mauracher told AIN. “Montana-based Bridger Aerospace Group has signed a deal to purchase up to five of the CL-415EAF conversions from the program just entering production by Longview,” he continued. LAAM launched initial work on the CL-415EAF (Enhanced Aerial Firefighter), a turbine conversion of piston CL-215s, in early September in Calgary, using conversion kits provided by Viking. Eleven CL-215 Series 5 aircraft are slated for upgrades, including two Pratt & Whitney Canada PW 123AF turboprop engines, a new digital avionics suite, six new aircraft structures including winglets and finlets, upgraded power-assist flight controls, a new power distribution system along with complete rewiring of the aircraft, and incorporating 75 Service Bulletins associated with original the CL-215T conversion kit. The Viking CL-415EAF conversion program forms part of a staged approach where advancements made with the Longview-converted aircraft will be used as part of the basis for the proposed Viking CL-515 new-production “multi-role” amphibious aerial firefighting aircraft. Mauracher echoed the words of David Curtis, chairman of Longview Aviation Capital and CEO of Viking, who told attendees at the Abbotsford Aerospace, Defense, and Security Expo recently that the business case for producing a new variant, the CL-515, “is still being put together,” but he suggested an announcement may be forthcoming the first quarter of 2019.